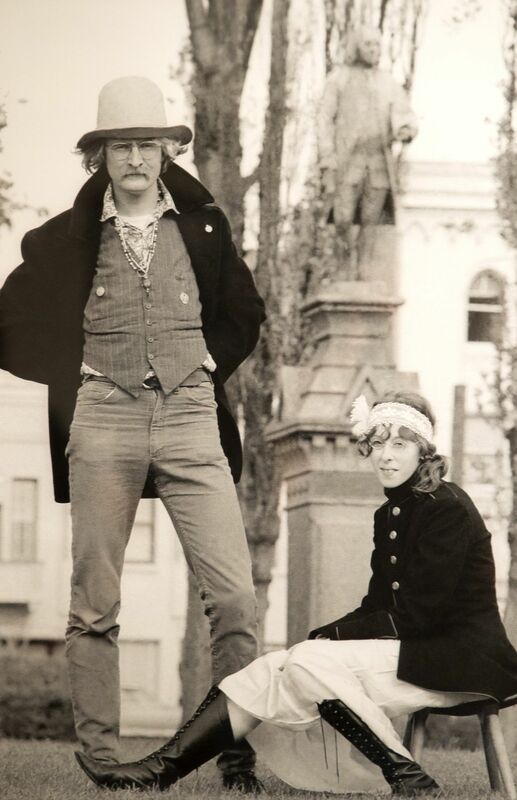 From a tribute cocktail once served at Capitol Hill’s now-shuttered Redwood to the Pacific Northwest streams he fished in as a boy, it’s easy to trace the lingering influence of Tacoma-born writer Richard Brautigan if you know where to look. Though known for depicting San Francisco’s counterculture of the 1960s and ’70s with surrealistic flair, you’ll find one of his greatest legacies on three bookcases in the basement of Vancouver’s Clark County Historical Museum. 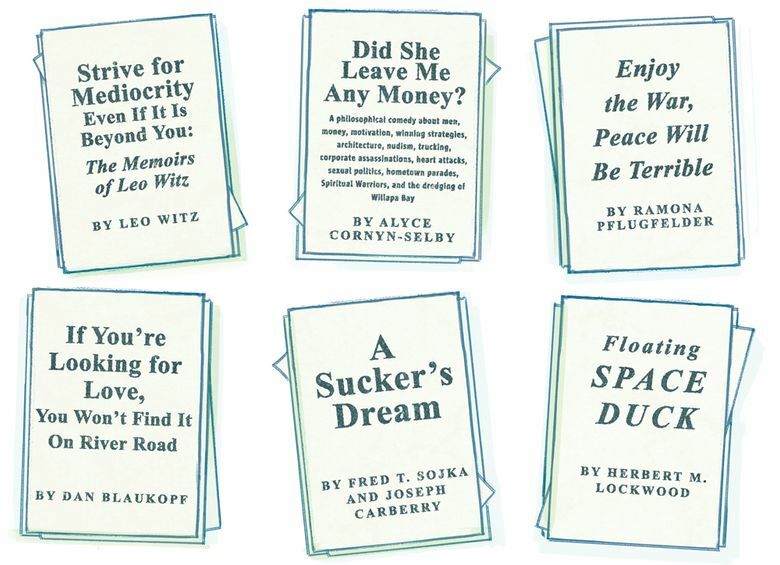 Known as the Brautigan Library, the collection spans family histories, absurd Brautigan-esque capers, DIY religious tracts and memoirs of ordinary lives. They don’t feel like books at all, really, so much as the complete, unfiltered contents of other people’s minds. And they all have one thing in common: They’re unpublished. -"Quite famous in the late 1960s and early 1970s on an international scale as the author who best captured the zeitgeist of the … counterculture movement, especially as it was contextualized in San Francisco" — John Barber, friend and former student. 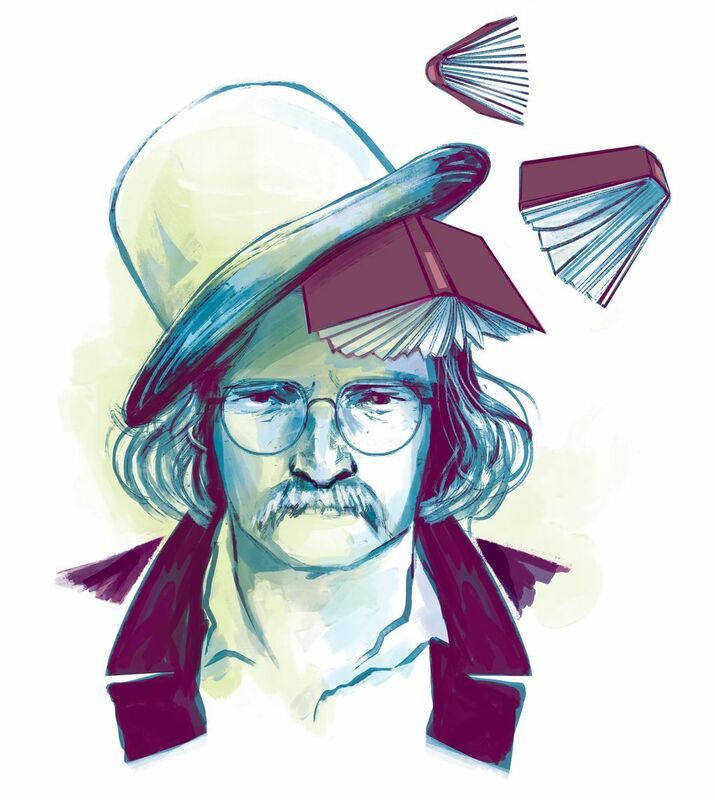 The 300-plus volumes in the Brautigan Library are private creations made publicly accessible, thanks to an impractical fictional concept that became an impractical reality, and resisted oblivion through persistence, grief and — in true Brautigan fashion — a series of odd, benevolent coincidences. The books I encountered, crouched on the floor in that vaguely antiseptic-smelling basement, ran a fierce gamut. I opened their covers and looked inside, and right there on the smudged-looking photocopied pages were the private sadnesses and obsessions and daydreams and personal soapboxes of hundreds of people I’d never met. Some stood out for their titles alone. My favorite was Alyce Cornyn-Selby’s “Did She Leave Me Any Money? A philosophical comedy about men, money, motivation, winning strategies, architecture, nudism, trucking, corporate assassinations, heart attacks, sexual politics, hometown parades, Spiritual Warriors, and the dredging of Willapa Bay” (shelved in “Humor,” acquired in 1990). I read entirely more than I’d planned to of Leo Witz’s “Strive for Mediocrity Even If It Is Beyond You: The Memoirs of Leo Witz.” Despite its title and dry humor, it is a love story, in which Witz recounts the ways his marriage “makes the involvements of Tristan and Isolde or Romeo and Juliet come off as rather bland friendships” (shelved in “Family,” acquired in 1992). I thumbed through a very short book about learning to sail (Philip Lewis Preston’s “Furled,” only seven pages, shelved in “Adventure,” acquired in 1990). Herbert M. Lockwood’s “Floating Space Duck” (shelved in “Humor,” acquired 1990) had whimsical intergalactic cartoon illustrations. One of many memoirists, Barbara Gale wrote of her life story, “If you enjoy seeing an old twisted healthy tree, you may enjoy my story” (shelved in “Meaning of Life,” acquired in 1995). In a book simply titled “Chapterbook” by Stuart Chaulk, the author bemoaned that “I would prefer nothing to happen in Chapter 5. Too late. It is rife with meaning I did not intend” (shelved in “War and Peace,” acquired 1991). The rows of manuscripts are punctuated with little cardboard printouts of mayonnaise jars, a nod to the collection’s cataloging technique, known as the Mayonnaise system. 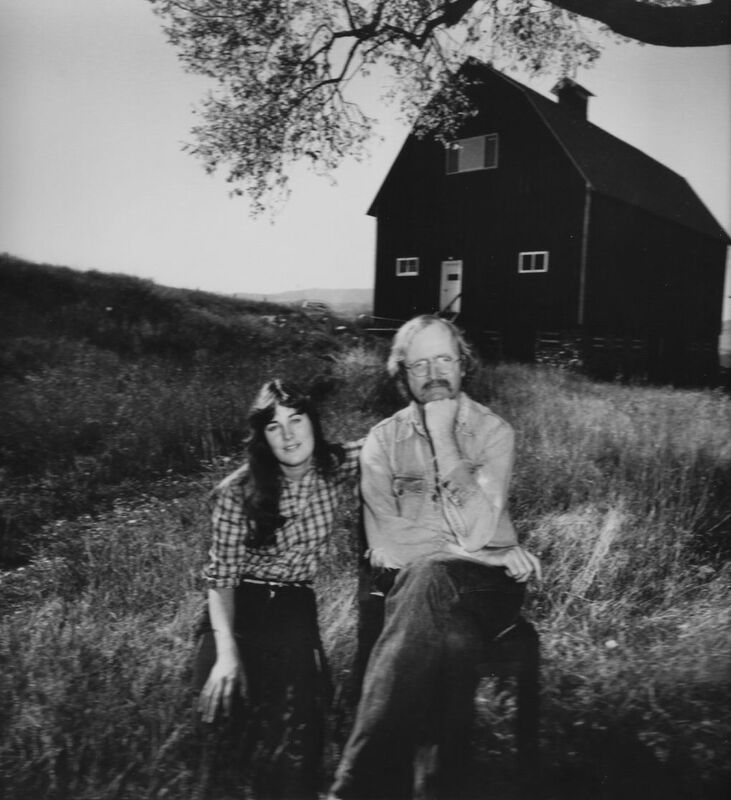 After Brautigan’s death, his daughter started getting letters from a man named Todd Lockwood, who wanted to build a real-life version of the library in “The Abortion.” At first she was hesitant, but she was struck by his kindness and eventually gave her approval. “[H]e was so lovely and the reason he was so lovely — and this brings tears to my eyes — he had just gone through incredible loss himself,” she says. Lockwood had lost a brother and a sister in two years. Last December, on an episode of “This American Life,” he explained that grief, catalyzed by a chance viewing of the movie “Field of Dreams” (“If you build it, he will come”), pushed him to make his longtime dream of building the library a reality. His request was also different from most of the ones Brautigan Swensen had fielded since her father’s death. Brautigan had died by suicide, and most of the media coverage at the time had focused on that. Lockwood’s was the first proposal Brautigan Swensen received that reminded her of the person her father had been. The Brautigan Library, she says, helped her to heal. Lockwood tells me it helped him, too. It even houses a memorial; “Floating Space Duck” is the work of Lockwood’s brother. In 1990, Lockwood took on this role. His Brautigan Library, based in Burlington, Vermont, operated as a nonprofit. At its peak, he says, it had about 100 volunteer librarians and attracted visitors from out of town. But in 1997, it closed due to lack of funding, and the manuscripts were put in storage in Lockwood’s basement. This caught the attention of John Barber, a faculty member in the Creative Media and Digital Culture program at Washington State University, Vancouver, who had once studied under Brautigan. He found space for the collection at the Clark County Historical Museum, and the library was moved and reopened in 2010. 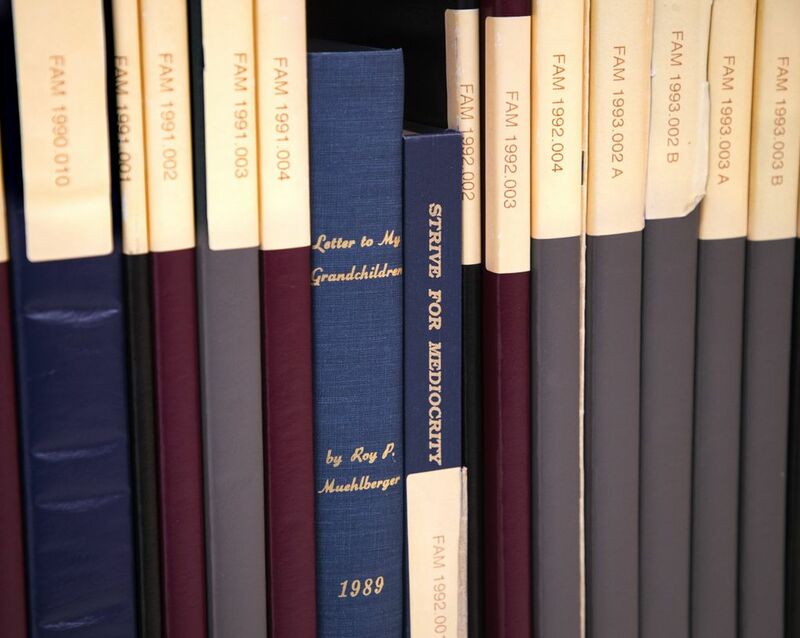 The manuscripts in the library date from the Vermont years: 1990-96. In 2013, it began accepting manuscripts again, but only electronically; there’s not enough space to keep accumulating paper volumes. 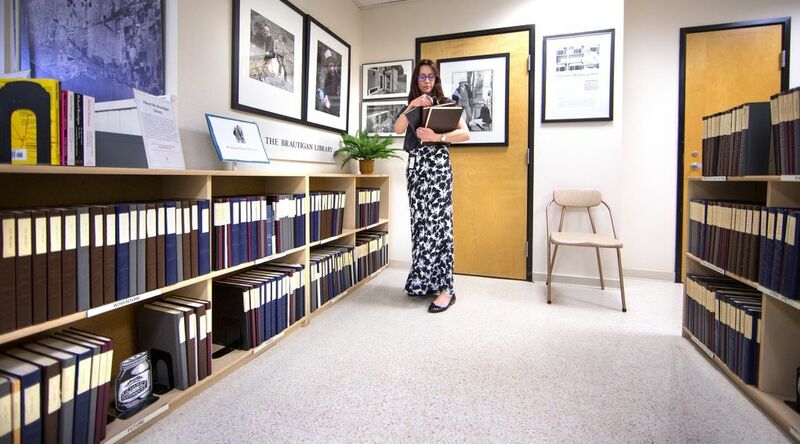 Barber says he received an influx of manuscripts after the story about the Brautigan Library aired on “This American Life.” So far, 12 have been submitted in 2019. If you aren’t instantly charmed by the library in “The Abortion,” a question may occur to you: Why would anyone write something if there’s a chance no one will ever read it? The library’s most prolific contributor was a chemical engineer, chess champion and World War II veteran named Albert Helzner, of Marblehead, Massachusetts, who submitted 16 manuscripts. 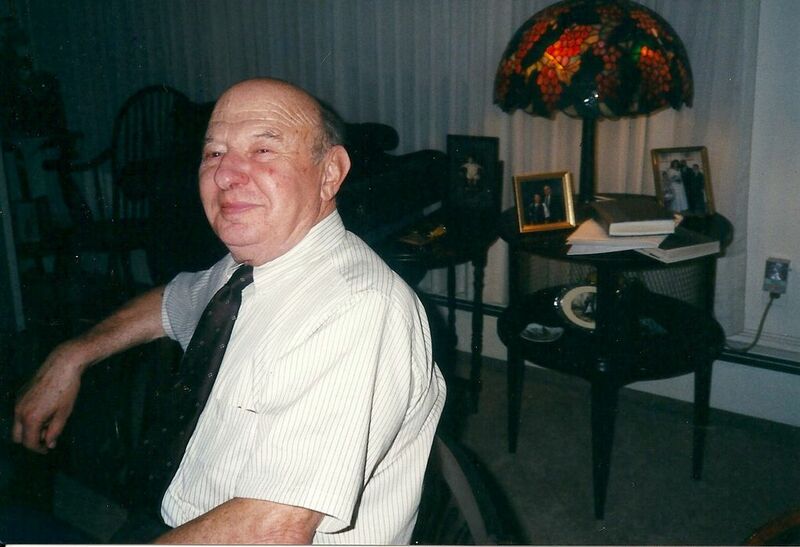 Helzner died in 2016, and his daughter, Ronnee-Sue Helzner, is currently piecing together the literary legacy he left behind. “What I hope to do with at least some of his writing is continue his quest to get some of it published,” she says. The library that inspired these words was real: the Presidio branch of the San Francisco Public Library, a Carnegie library. If coincidences seem to follow the saga of the Brautigan Library, the collection’s new location comes with two. The first is that Vancouver bridges the two major sites of Brautigan’s boyhood: Washington and Oregon. The second is that Clark County Historical Museum was Vancouver’s original public library, and like the Presidio branch, it was also a Carnegie library. When I asked John Barber why it was so important that these volumes be accessible to readers, he referred back to Brautigan. In “The Abortion,” Barber points out, the library’s one-sidedness is a conceit that allows a separate narrative to unfold. The librarian doesn’t stay in the library forever. He falls in love. When his girlfriend has an unintended pregnancy, the librarian goes with her to Tijuana, where she can have an abortion, a procedure illegal in some states at the time of the book’s publication. The library’s magic doesn’t lie in its closed circuit, but in its ability to facilitate and nurture relationships. “Trout Fishing in America” (1967): Arguably Brautigan’s best-known work, “Trout Fishing in America” is a series of surrealistic sketches of American life, where trout fishing is employed as a metaphor, a phrase children use to bully each other, in one character’s name, and only rarely literally. “In Watermelon Sugar” (1968): Brautigan’s third novel, “In Watermelon Sugar” takes place in a commune called iDEATH in a post-apocalyptic world (or maybe a parallel universe).The title refers to an all-purpose material extracted from watermelons. “The Abortion: An Historical Romance 1966” (1971): The inspiration for the Brautigan Library, “The Abortion” is set in a library in San Francisco where a charming young librarian cares for unpublished manuscripts until the arrival of a woman named Vida draws him out of his solitude.